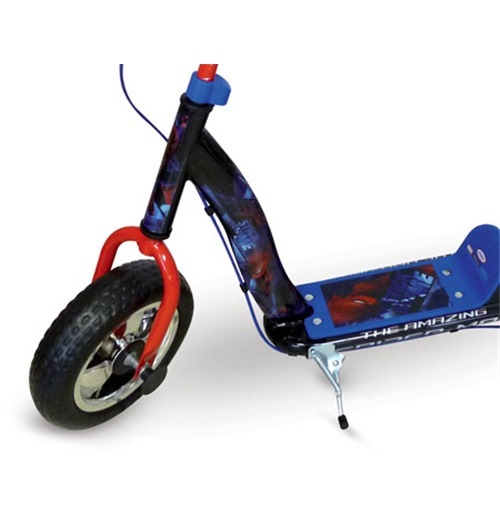 This rugged Cross Scooter comes with two 10 inch wheels that enable smooth riding. On the front wheel you can apply a brake control from the right handle bar. 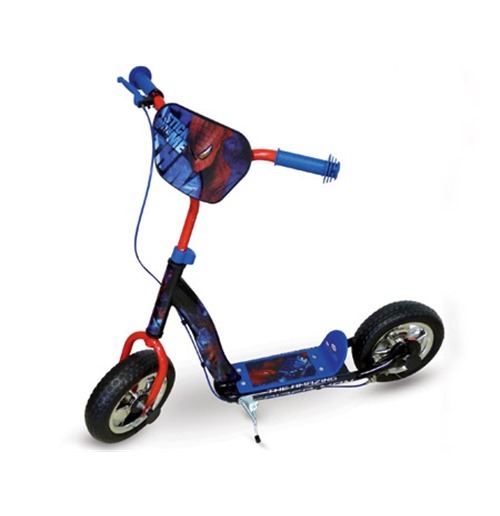 Scooter comes with solid handle bar and a SPIDER-MAN themed frontplate. 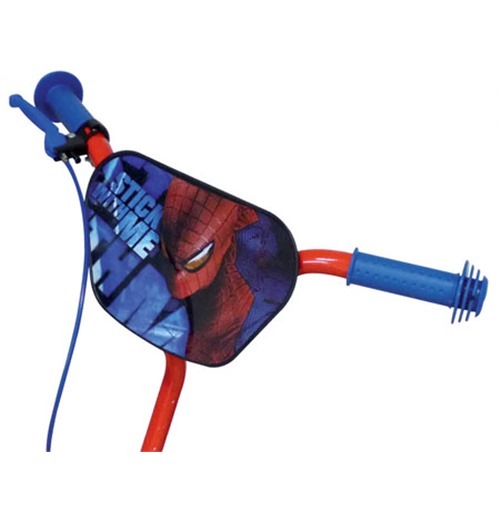 The SPIDER-MAN designed footplate features a stand for when the scooter is not in use. You will find a further SPIDER-MAN artwork on the main frame along with the traditional red/blue colour theme, which make it the perfect gift for any Marvel fan.